We will begin our 2019 garlic harvest in early to mid July, and will be taking pre-orders starting August 1st. Ordering early is crucial for the best selection. 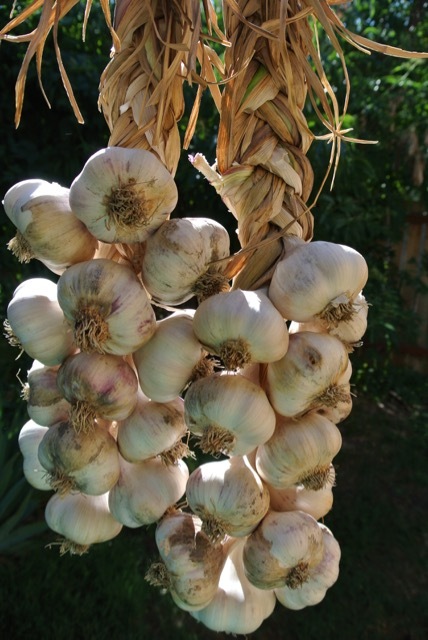 Please note: All garlic seed orders are shipped starting in mid September. We grade and select the highest quality bulbs for seed, saving the smaller bulbs for our delicious culinary/table garlic. Our garlic is cured for at least 6 weeks before shipping and you can explore specific varieties or dive right in and choose from our speed order list. All garlic is sold by the pound. Let us know if you have any questions! We can sell our culinary/table garlic to all of you wishing to try our yummy garlic (for eating purposes only). However, we are not allowed to ship our seed stock garlic to the following counties in Idaho and Oregon, due to the allium quarantine regulations designed to protect the onion industry in southwest Idaho and eastern Oregon. Ada, Bingham, Blaine, Boise, Bonneville, Canyon, Cassia, Elmore, Gem, Gooding, Jefferson, Jerome, Lincoln, Madison, Minidoka, Owyhee, Payette, Power, Twin Falls, and Washington in Idaho, and Malheur County in Oregon. Currently, we do not ship to Canada, Hawaii or anywhere outside the US.